A small glass of this homemade Limoncello, served straight from the freezer, is the loveliest end to a meal. Sometimes the best dessert is one that comes in a glass. And for me, that category is broad. From ice cream floats, to my favorite hot chocolate, to raspberry sorbet bubblies, to Mexican coffee…I love it all! 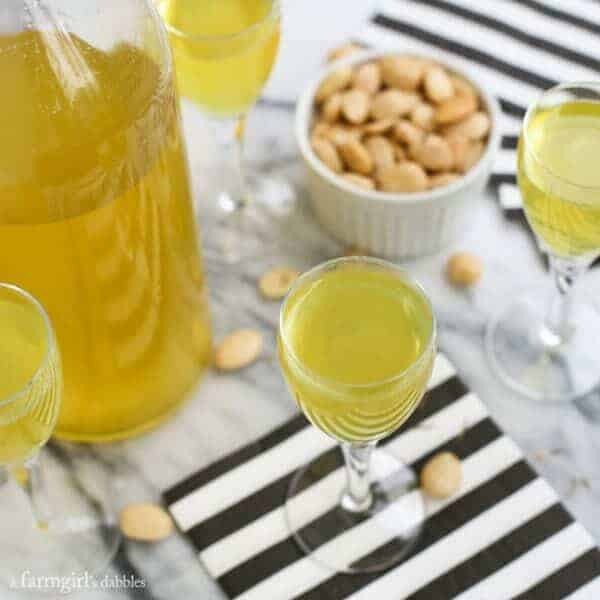 This recipe for homemade Limoncello is not to be missed in my drinkable list of favorite desserts. 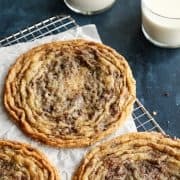 It’s crisp and clear, with a sweet, sweet bite. Ohhhhhh…I love it so! My first-ever glass of limoncello was on my first-ever cruise, to Alaska with Princess Cruises. It was all very unexpected how this love of limoncello came to be. Limoncello wasn’t even on the menu. And then Peres, the very accommodating and super-smiley Head Waiter from Portugal, brought out a chilled bottle of their house-made limoncello at the end of our meal. This Italian liqueur was ice-cold and poured into cordial glasses, which were clinked with happy smiles all the way around the table. After just a couple sips, I started drilling Peres about how they make their limoncello on the Ruby Princess. He was more than happy to oblige. 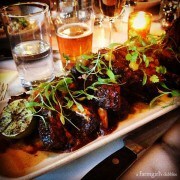 * Be sure to read on after the recipe for more on our trip to Alaska with Princess. 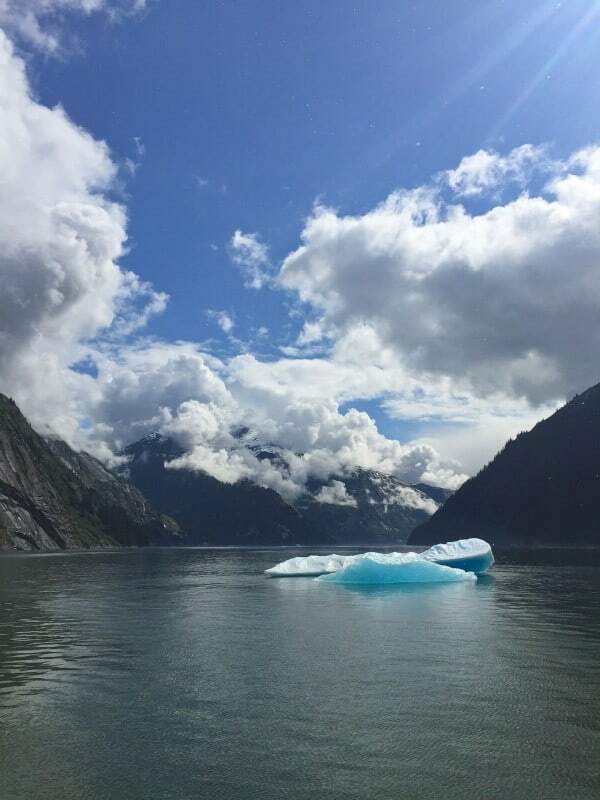 I’m sharing about our excursion at Tracy Arm Fjord and Sawyer Glacier! Some day I will get to Italy. And some day I will drink limoncello there, at a quaint little table al fresco, clinking my glass to an item crossed off my bucket list. But for now, I have homemade limoncello chilling away in my freezer, the closest thing I have to my far-off Italian dream. For my homemade limoncello, I used a beautiful vodka made right here in Minnesota. If you see Prairie Organic Vodka on a shelf near you, do give it a try. It was awarded “Best New Vodka” by Food & Wine in 2009 and received a rating of 92 by Wine Enthusiast. Those two accolades, along with a glowing recommendation from a local wine and spirits shop, are what convinced me to give Prairie Organic Vodka a try. It’s now what I like to call our own house vodka. Making your own limoncello is really quite simple, if not immensely fun. Yes, there are 10 lemons to zest. But I call that therapy. And then there’s the waiting. Waiting, waiting, waiting for that glorious lemon flavor to infuse itself into the vodka over the course of a week. That’s called anticipation. Or is it agonization? Whatever. You get the picture. It’s just plain hard to wait to taste the fruits of your labor! A small glass of this homemade limoncello, served straight from the freezer, is the loveliest end to a meal. The Italians drink it as a digestive, did you know? Give it a try this summer. It’s sure to be the most refreshing little dessert that’s ever touched your lips. Pour the entire bottle of vodka into a glass jar. Add lemon zest from all 10 lemons. I used a microplane zester, to ensure that I didn’t get any of the white pith. If you have a peeler that works well and it allows you to only peel off the thin outer yellow skin without any pith, go ahead and use that. If white pith is added to the vodka, your limoncello will be bitter. 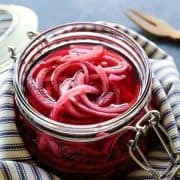 Seal the jar tightly with a lid and set in a cool, dark place for 1 week and up to 1 month. And don’t throw away all those lemons you just zested – juice them and make a batch of fresh lemonade! 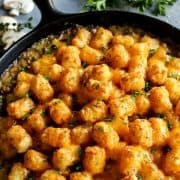 Line a colander with a double layer of cheese cloth and place it over a bowl. Pour vodka mixture through the cheese cloth. Gather up the cheesecloth and use a spatula or the back of a wooden spoon to press on the cheese cloth and express every last bit of that lemon flavor out of the zest and into your limoncello. Discard cheese cloth full of lemon zest. In a medium saucepan over medium-high heat, bring water to a low boil. 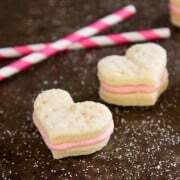 Add sugar and stir until it dissolves completely. Remove from heat and allow to cool completely. Add 1-1/4 cups of the cooled simple syrup to the lemony vodka mixture. Stir to combine. You now have limoncello! Pour it into a bottle that has a tight fitting cap. Place in refrigerator or freezer. I like to keep mine in the freezer, for an ultra chilled cordial. Store remaining simple syrup in the refrigerator, in a container with a tight lid. When trying your limoncello for the first time, feel free to add more simple syrup if you’d like it sweeter. I added what I thought should be the minimum amount of simple syrup, with additional simple syrup available if needed. 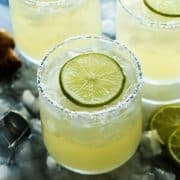 Once you have added the desired amount of simple syrup, use any remaining simple syrup for lemonades and cocktails. From a farmgirl’s dabbles, made from directions relayed by Peres, Head Waiter on our cruise to Alaska aboard the Ruby Princess. After our beyond-incredible excursion out of Ketchikan, on a float plane over Misty Fjords National Monument, I thought that if I never saw another beautiful site in Alaska I’d still be a very happy girl. That experience was just that amazing. But then the very next day, after the Ruby Princess navigated bends and turns as far as it could go into the Tracy Arm Fjord, we boarded a small catamaran for the second excursion of our 7-day cruise with Princess. This smaller vessel allowed us to veer off and explore the tiny fingers of the fjord while the ship meandered back through the main arm, headed to our next port in Juneau, where we’d all meet up once again. When my eyes caught sight of the Sawyer Glacier, the first glacier I had ever seen in my life, all I could do was stare. And wonder. It was like I was in my own little world, even though I was surrounded by a few dozen others on this excursion. Those ancient layers of ice. That gorgeous blue color. The sheer magnitude of size. It was so much to take in. I was speechless. Sawyer Glacier actually consists of two glaciers, North and South Sawyer glaciers, that were once united in one large frozen mass. The catamaran took us within 1/4 mile of the glacier. 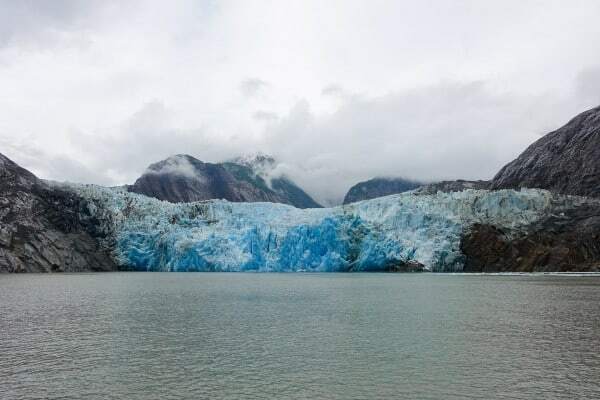 I was so excited that we were able to experience a couple of calvings, where big chunks of the glacier crash into the water with a magnificent splash and “BOOM!” sound. Have you ever enjoyed an ice-cold “Glacier Freeze” flavored Gatorade? That’s all I could think about as we slowly motored past these electric blue pieces of ice floating in the water, the ice a similar color as the drink. 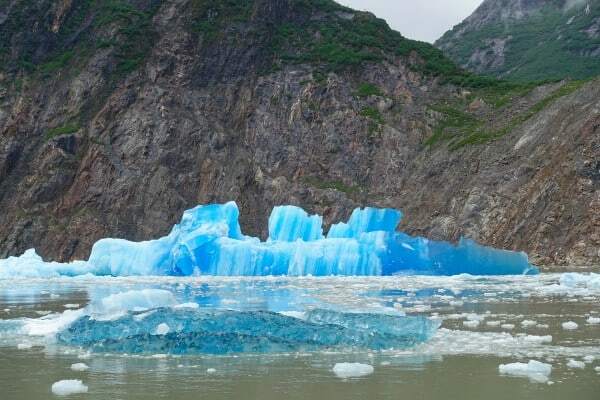 Our guide explained that the reason this ice was so incredibly blue was that it was older and denser in nature. 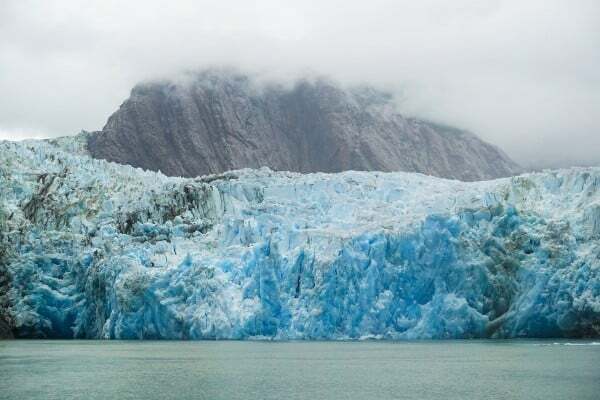 In glaciers, the enormous pressure of the many different layers causes the air bubbles to be squeezed out, thus increasing the density of the created ice. As we headed away from the glaciers, the chilly rain-turned-to-drizzle ended and the low clouds began to lift. 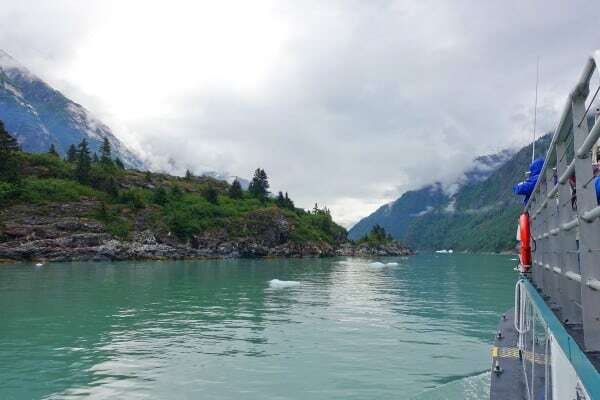 Our captain guided us in and around the inlets and islands, through the quiet jade green waters, showing off the endless beauty that Tracy Arm Fjord has to offer. This excursion was almost 6 hours long, from boarding the catamaran at the deepest area of Tracy Arm Fjord to disembarking again in Juneau. 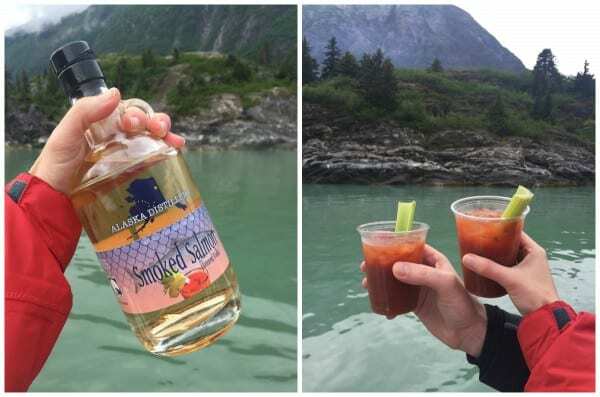 So when our guides/hosts asked us if we’d like to be a little adventurous with a Smoked Salmon Vodka Bloody Mary, Blake and I were up for the challenge. The vodka was not fishy, but just nicely smoky. 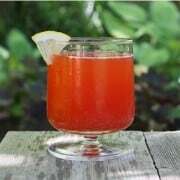 It actually worked very well in this classic spiced tomato drink, even though many people were not convinced to try it. As the clouds dissipated and the warmth of the sun touched our faces, we continued to be amazed by beauty at every turn. Throughout our entire trip, we saw cascades and waterfalls, too numerous to count. Our captain got us up close to this one, letting the mist of the rushing water spray us from the upper open-air deck. This was one of my favorite scenes. The sun, warm on our skin. The sky, vivid blue with big fluffy clouds. 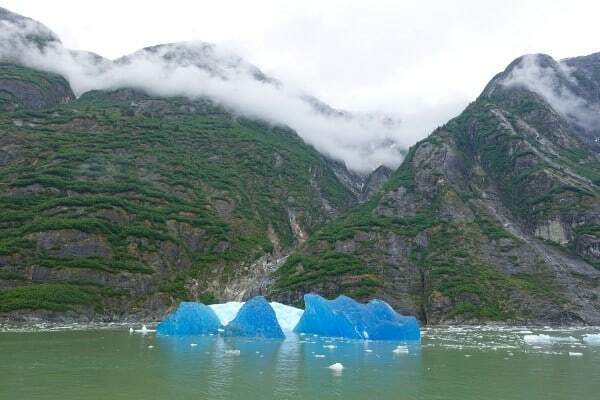 And those “Glacier Freeze” colored ice chunks, so stately in the middle of the waterway, commanding our picture-taking trigger fingers to press our buttons repeatedly. 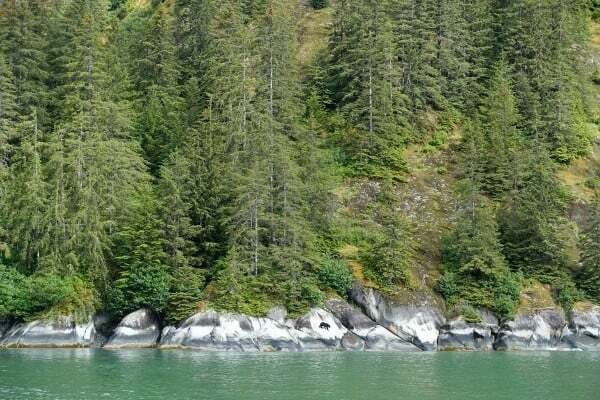 As we were making our way out of the fjord, bound for Juneau, we even spotted a black bear rambling along the water’s edge. 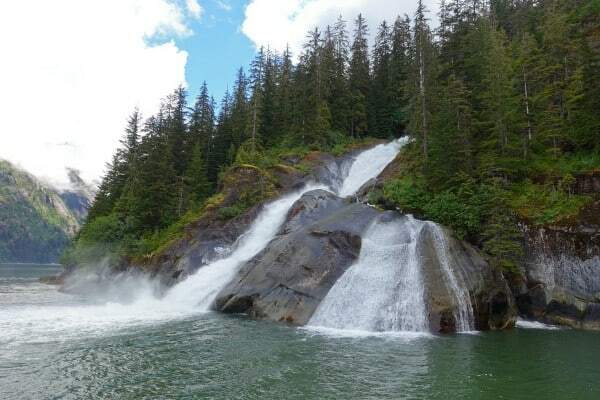 We sailed for quite some time through the waters of Stephens Passage to reach Juneau, our second port city. The Ruby Princess was waiting for us, just as she said she would be. Can you see the area on the ship, at the water line, where people are standing? That was a docking area where our catamaran pulled up to let us back onto the ship. Once back on the ship, Blake and I grabbed a super quick bite to eat as we raced through one of the ship’s buffets, and then disembarked once again for our next excursion in Juneau. There was no time to lose. Stay tuned for another crazy awesome adventure, this time by helicopter and dogsled! Nothing like a homemade drink…cheers! I’m not a huge fan of Limoncello, but I will say that where you drink it in Italy makes a huge difference. Drinking it in the north is like choking down a horrible tasting cough syrup. But it can be quite delicious when made with Amalfi lemons along the Amalfi Coast. My husband makes his own limoncello and yes, it is very therapeutic. There’s nothing like homemade. 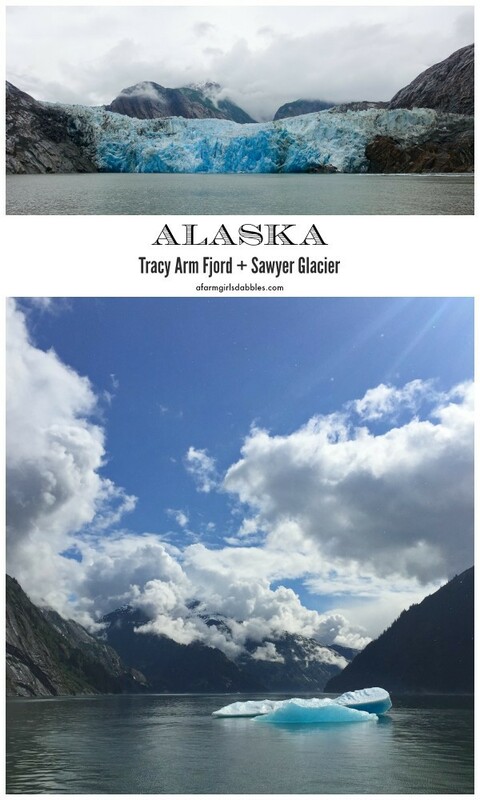 I’ve always thought about taking an Alaskan cruise and your photos make me want to look at our calendars and book one sooner rather than later. What an amazing trip! The views of the glaciers are incredible. Thanks for sharing the limoncello recipe too! What an amazing cruise! I’ve never been to Alaska but I’ve told my husband when I do, we have to do it cruise style. The photos are really stunning and that limoncello sounds like a great ending too. I regret not having a taste in Italy but I did get a sorbetto made with it! Ooooooo, I’d love a limoncello sorbetto! My husband’s originally from Alaska but we still have yet to take a cruise there. We’ve been talking about it for a while – now I’m determined to do it! Great photos, thanks for sharing! I love keeping limoncello in the freezer – now I want to try to make my own! What an amazing trip you had – it’s on my bucket list, for sure. What a fun post! The limoncello and those icebergs! Gorgeous photos! Thanks for sharing! 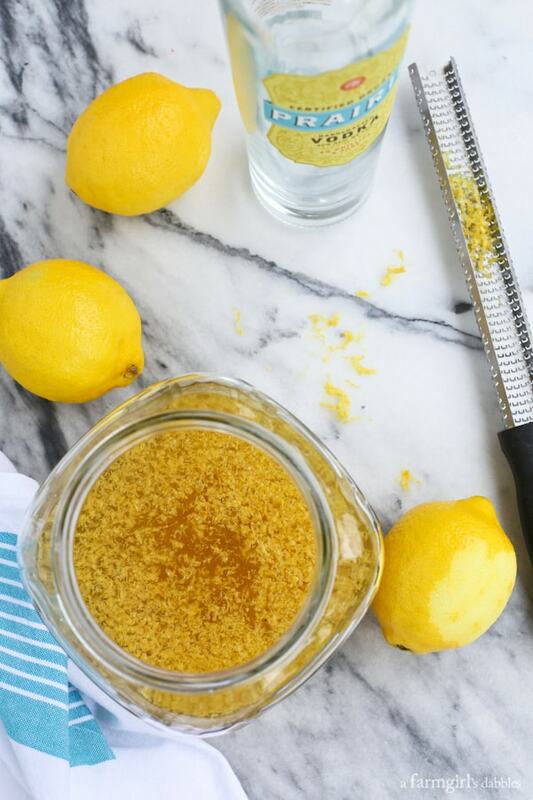 This limoncello sounds so lovely… thanks for sharing! Oh how I wish I were on that excursion with you! The Ruby Princess seems like so much fun! And I’ve never had limoncello. That’s needs to be addressed! That would have been awesome, Katrina. Because we really need to meet yet! 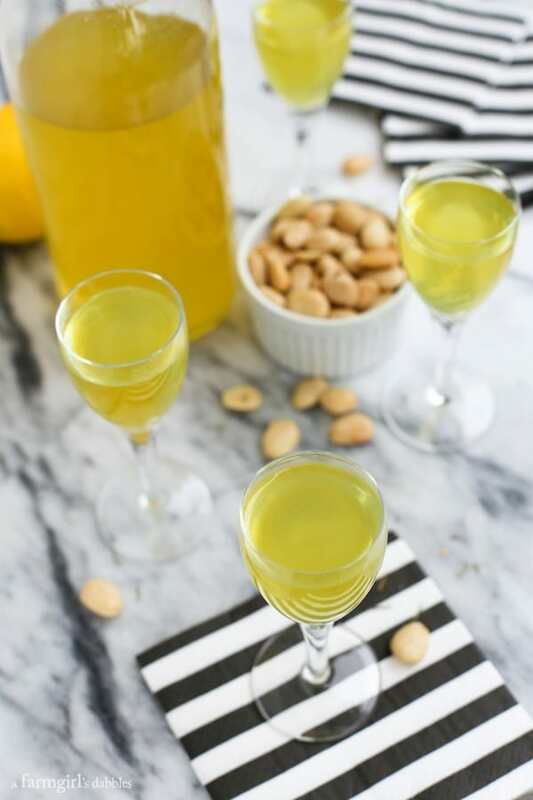 How do I love limoncello…let me count the ways. 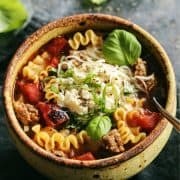 I’ve been meaning to make my own for quite some time, and now you’ve inspired me to do it! It looks as though you had an absolutely amazing trip! And that smoked salmon vodka needs to find its way to my house. I love that you want the smoked salmon vodka!! Also, this drink gets two thumbs up! 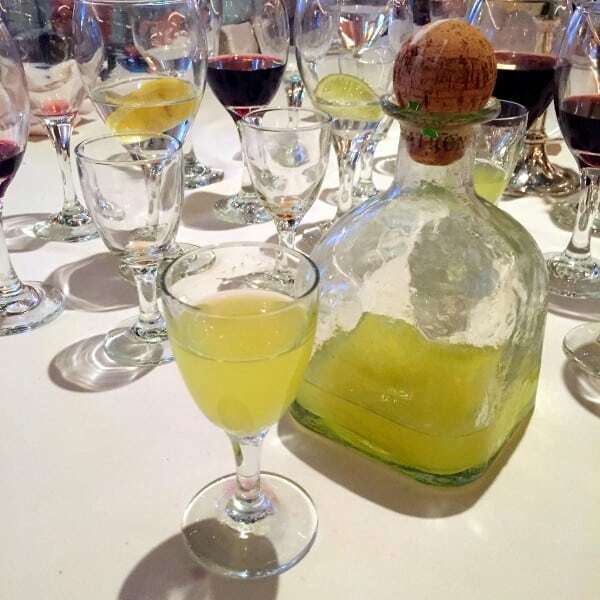 I too had my first taste of limoncello on board the Ruby Princess last October…sailing Canada/New England. Our waiter thought it was necessary for me to have two glasses…after wine with dinner :) I have all the equipment to make limoncello…but waiting for Meyer lemon season (November-March) here in AZ. Enjoyed seeing your pictures…I’ve been on Princess to Alaska 5 or 6 times…my favorite cruise. 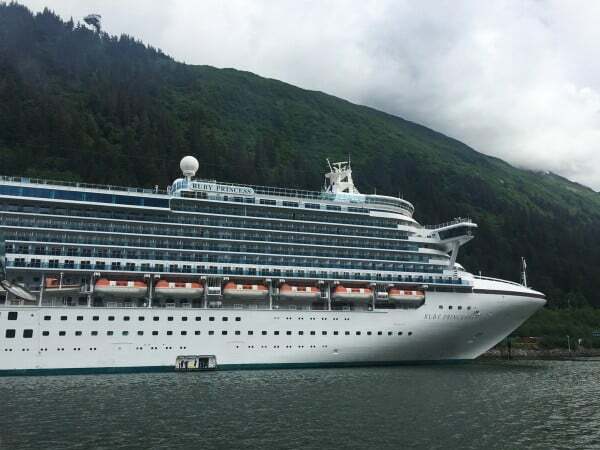 So awesome you’ve sailed with Princess to Alaska that many times – they do a fabulous job! It sounds like you had an amazing trip, and your photos are stunning. Alaska is on the list. You’re right, dessert in a glass is always a good thing. 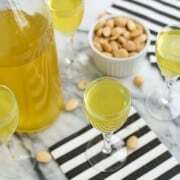 This limoncello recipe sounds amazing. 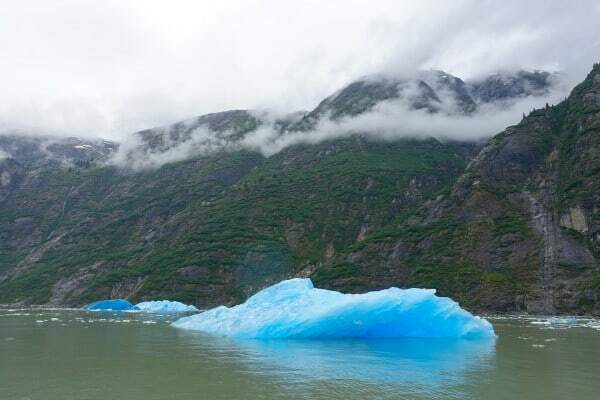 My folks took a cruise to Alaska many years ago – they still talk about. I want to go! In the meantime, maybe I can enjoy a glass of this poolside! That blue ice is AMAZING!!! How gorgeous! I totally need to try limoncello…you’ve convinced me! I know – almost fake looking. I couldn’t help but stare. 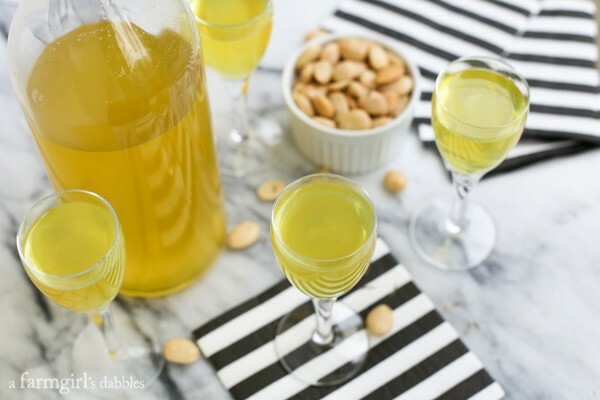 Definitely keep limoncello on your “to try” list! I was in heaven looking at your Alaska pics! What a gorgeous part of the country. I’d like to sip this limonchello while exploring. Reasonable, right?